While Marvel and DC battle to see who wins at the box office, it’s virtually inarguable that it’s the latter who dominates the small screen. Now having taken over four nights of the week when it comes to prime time programming, serialized superhero storytelling has swiftly become a cornerstone in the lives of many a geek these days. And who could blame any of us? Twenty-some episodes afford more character development and make room for introductions of heroes and villains that you would never be able to see in a two-hour movie. 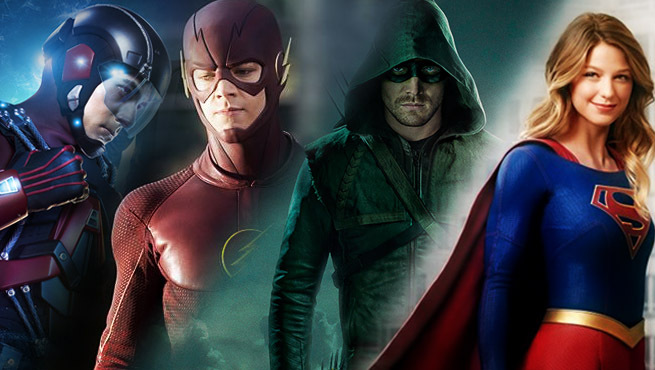 Multiply those possibilities due to a handful of these shows now existing and we’re being treated to a Golden Age of Superhero TV that we hope doesn’t end any time soon. Given that, we’ve established this column with the intent to recap the most memorable moments in DC TV each week, analyzing all the unforgettable developments to occur on Gotham, Supergirl, The Flash, Arrow and DC’s Legends of Tomorrow, provided a new episode airs. Check it all out on the next page and be sure to comment down below letting us know what your favorite moment was this week from DC’s TV universe.